When looking at the above story from the innovation team’s perspective, it is easy to nod our heads and say “Hallelujah! If all programs worked like that we would have a much more successful innovation culture and far better results.” But, what about from the perspective of management? For the most part, managers shared these same experiences back when they were working on teams and understand the inherent benefits. However, it is much harder to “let go” of control and to relinquish the reins when actually in the management seat as the one accountable, but not responsible for the results. Particularly in times of business crisis, managers often feel more pressure to be seen outwardly as “leaders”… to tighten their grip on the program and to play a more active role in the day-to-day operations of the team. It is far more difficult as managers to relinquish that control and to trust the teams than it is to micro-manage and “protect” them. So what then is the role of “management” in driving an innovative culture? Put simply, management’s role is to make sure that the best team is on the field, that the players are given all the tools they need to succeed, and that the team has a clear goal for which to strive. From there, the manager should do his/her best to trust the team and then get out of the way. In some ways, this is counter-intuitive… that this “absence” can be a sign of truly strong leadership as it feels more passive than active. However, it is critical, particularly in times of crisis, that management relinquish control rather than tighten their grip. To be clear, this is not an easy task- it takes active discipline, trust, and clearly defined goals and strategies. It requires managers not to lead the “rebellion” and be a part of the team experience that we all loved as innovators, but rather to enable it and guide it. Essentially, it takes an attitude of figuring out how best to serve the teams, rather than asking the teams to best serve you. A friend and colleague compared this conundrum to the character of Lennie from “Of Mice and Men”. Lennie is developmentally disabled and loves small furry animals so much that he hugs and squeezes them very tightly… unfortunately this pressure, even in an act of love, strangles and kills them. This too can happen to our programs, to our teams, and thus to our culture if we apply too much pressure and hold on too tightly. The concept of “Culture” often gets a bad wrap… as being fuzzy and fun rather than functional and fruitful. To be clear, this focus on culture is not about making the team “happy”, enabling good organizational survey results, or being seen as a popular manager… all of those may be side effects, but they are not the primary driver. No… the true driver is that empowered teams will always deliver better innovation and stronger results. To truly create a successful innovation culture and to lead our teams, we must EMPOWER them. 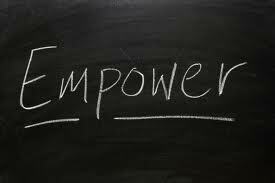 The only way that this concept of empowerment works is if you have a team that you can trust, that has the skills to do the job, and the willingness to lead and take risks. Invest heavily in hiring the right people for the right roles… it is better to have no person for a role than the wrong person. Protect the team from complexity from above. One of the most critical and under-rated active roles that you can play as a leader is to shield the team from unnecessary complexity and bureaucracy. As soon as the team feels responsibility for managing all of the uncertainty around their project, it will taint the innovation against their goal at hand. Protect the team so that they can focus on delivering Amazing results… once “Amazing” exists, a lot of extraneous complexity becomes simpler. The team should feel ownership and empowerment to make key decisions and recommendations to drive their programs, and not the need to always go to management for a decision. It is the leaders role to set the criteria put to push the team to make the recommendations… I often say “It is better to beg forgiveness than to ask permission”. Put your money where your mouth is. If you want innovative behaviors from your teams… measure and reward it. This means finding a way to acknowledge and reward failures, because any truly innovation does not succeed on the first attempt. While results are clearly important and ultimately are the fruits of a team’s labor, you must reward behaviors along the way to insure that the innovative push and drive persists even through failures. Next Would Thomas Edison survive in your innovation group if he worked there today?